Addressing Serious Health Issues - Perelandra Ltd. Using the Perelandra tools for support when addressing a serious health concern. We talk with a lot of people on the Question Hot Line every week who are dealing with some pretty serious illnesses. It seems to touch everyone's life, either someone you know, a close family member or you. So we wanted to share the suggestions we give most often when answering questions frequently asked by those facing serious illness. When you're dealing with a serious illness that requires frequent tests, going to different doctors, getting through a series of treatments, outpatient and inpatient procedures, and then more tests, it's difficult to take in and learn even more new approaches to health and balance. Everyone wants to offer helpful advice in an effort to support you, and sorting through it all is difficult when you're sick and faced with so many critical decisions. We aren't writing this to give you one more thing to learn about. This is for reference, some tips and guidelines for applying the Perelandra tools that you already have, to support you while you are addressing your illness or disease. Important #1: This is not medical advice. The treatment options you choose are decisions to be made by you, with your family and your doctor. We never weigh in on that. Important #2: Perelandra Solutions and Essences are supporting you by addressing the balance of your electric system. They each contain only a specific electric pattern, water and preservative (unflavored brandy or organic distilled white vinegar). If the brandy or vinegar preservative will not interfere with your medications or treatments, then you can safely use our products. You can take an additional dose anytime, whenever you feel it would be helpful. This could be: Doctor visits, waiting for test results, hearing test results, just before and after treatments, anytime your emotions get the best of you, if you're experience a rough reaction to your treatment(s) or if anything catches you off guard and makes life harder. Take a dose 3 times within the first 20 minutes of a difficult event. For example, some part of you just got lasered or hit with radiation and they've left you alone to get dressed. Instead of rushing out of there, give yourself some time and some ETS. 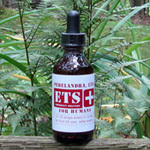 While you put yourself back together, take one dose of ETS right away. Wait 5 minutes, then take a second dose. Wait 5 more minutes and take a third dose. 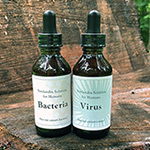 The Virus Solution and Bacteria Solution offer broad support for health in this new world by providing a targeted monitoring, disrupting and eliminating "microbial misbehavior." They address a range of issues that science is beginning to attribute to microbes. You might be surprised to learn how hard our microbes work to keep us healthy and moving forward. So anything we can do to support the helpful virus and bacteria meant to be inside us, is a good thing. Machaelle recommends that a dose of each of these two Solutions be taken daily. The MBP Solutions are natural, easy to take and like the ETS they have no learning curve. In other words, you don't have to do any lengthy reading or practicing to use and benefit from them. Start with just the basics: Take the MBP Immune, Lymphatic and Urinary Balancing Solutions twice daily, first thing in the morning and last thing at night, to give yourself support during serious illness. If you're up for it, add to that the MBP Solutions to strengthen body systems that you know are involved in your illness. For example, if you're most concerned about your skin, then add the MBP Integumentary Solution and Cell Balancing Solution. Keep taking these Solutions twice daily during all phases of the process, from diagnosis and treatment through all follow-up testing. And since these systems gave you some serious trouble, you might consider giving yourself the added support of the MBP Solutions on a long-term basis, even after you are out of hot water. PIC = The Perelandra Information Center. 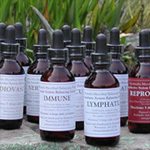 PIC is your resource for learning more about our four groups of Perelandra bottled products and how they apply to you. PIC List Testing pulls all that knowledge into manageable pieces to help you address a specific concern. With PIC, this simplicity is comprehensive. You write "my" because the disease has many ways that it can play out and you want to address how it's playing out in you. You write "cancer" instead of the precise technical name that came along with your diagnosis because again, it covers the many ways that the disease is playing out in you and not just what's been defined by the doctor. This approach allows you to continue to use and benefit from the Perelandra Solutions and Essences while following any medical treatment path you have chosen. 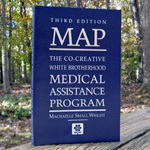 MAP is indispensable when dealing with a serious illness. You can work with MAP on its own, if using ETS or other Solutions are difficult in your situation. Your team can support you while you are going through treatments, through surgery, during hospital stays, while listening to your doctor explain your diagnosis and options. All this can be supported in addition to working with MAP while at home struggling on your own to deal with the serious illness you are facing. No bottles have to be involved. For the serious illness session schedule, see page 42. For how to work with MAP during doctor visits, outpatient treatments, scheduled surgery and hospital stays, see page 150. For unscheduled surgery or doctor visits, use Emergency MAP (pp. 141 to 144). 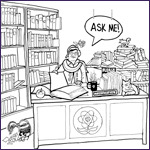 If you have questions about what we've explained here, or if you're working with other Perelandra processes like Essences Telegraph Testing or the Microbial Balancing Program, we encourage you to give us a call on the Question Hot Line. We'll help you get yourself set up using what's most helpful to you without throwing you into overwhelm.